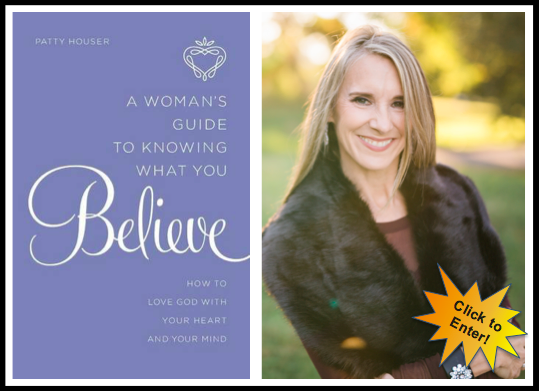 Book Giveaway Contest – Know What You Believe! 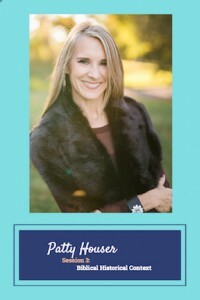 We’re Giving away Patty Houser’s Book! Click on the book image just below or the link at the bottom of the page to enter the contest. God has given every woman the ability to have an extraordinary faith–one that involves both the heart and the mind. Yet many women’s faith is grounded solely in their hearts, leaving them unable to defend their faith or susceptible to the latest spiritual fads. In this book, Patty includes real-life stories and examples, including her own experience coming to Christ after a ten-year search for truth. She reveals how beliefs are not just about the intellect–they play an active role in behavior, in relationships, and in families. Finally, she demonstrates how you can share and defend your faith to those you love in a persuasive yet relational way. Includes questions for personal study and large or small groups. Patty Houser is a presenter in the current Your Biblical Breakthrough! Training Telesummit. She’s a real spitfire, full of knowledge, and brimming with practicality that will help you grow in your faith – heart, soul, and mind! CLICK HERE TO ENTER THE GIVEAWAY CONTEST!